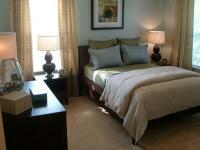 Welcome home to Aquia Terrace in Stafford, Virginia. We are a first choice for Washington D.C. commuters, as well as for federal employees and military personnel at Quantico. We are situated just minutes from I-95 offering easy access to northern Virginia and the areas of Fort Belvoir, Alexandria, Springfield, Arlington, Manassas and Woodbridge. To the south we are within easy distance of Fredericksburg and Richmond, Colonial Beach, Virginia Beach and Spotsylvania. At the apartments of Aquia Terrace quality is in the details, big and small, from spacious nine foot ceilings and private semi-enclosed balconies to decorative light fixtures and custom kitchen counters. Everything has been designed with your total comfort and convenience in mind. Located just off Route 1, we are nestled quietly within walking distance of daycare, supermarket, post office, pharmacy, gas station, dining, and dry cleaners. Professionally managed by Lincoln Property Company, our maintenance staff is on-call 24 hours for your convenience. Our spacious one, two, and three bedroom apartment homes are all equipped with full-sized washers and dryers, all-electric appliances in the kitchen featuring ice-makers, disposals, dishwashers, and self-cleaning ovens. 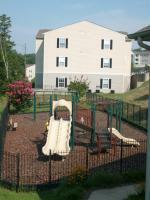 Once you visit Aquia Terrace, you'll know you're home. Garden-style apartments built in 2004. Full-sized electric appliances including washer and dryer in unit. Pet-friendly community with breed restrictions on aggressive breeds. Military and government employee discounts. Take I-95 to exit 143A Aquia. Go east on Garrisonville Rd/ 610 to Rte.1/Jefferson Davis Hwy. Take Rte.1 south to Forreston Woods Drive. Left on Forreston Woods to Aquia Terrace office on right side.